Peace processes – and the mediators that shepherd them – increasingly address the legacy of large-scale human rights violations. They can provide a crucial ‘moment’ for addressing the causes and consequences of an earlier conflict. To this end, peace agreements often include justice provisions: attempts to begin to deal with the past through a range of judicial and non-judicial measures such as amnesties, prosecutions, truth-seeking and reparations. While ‘justice provisions’ such as these are important, the argument here is that security arrangements in peace agreements are as important, if not more so, for accountability. 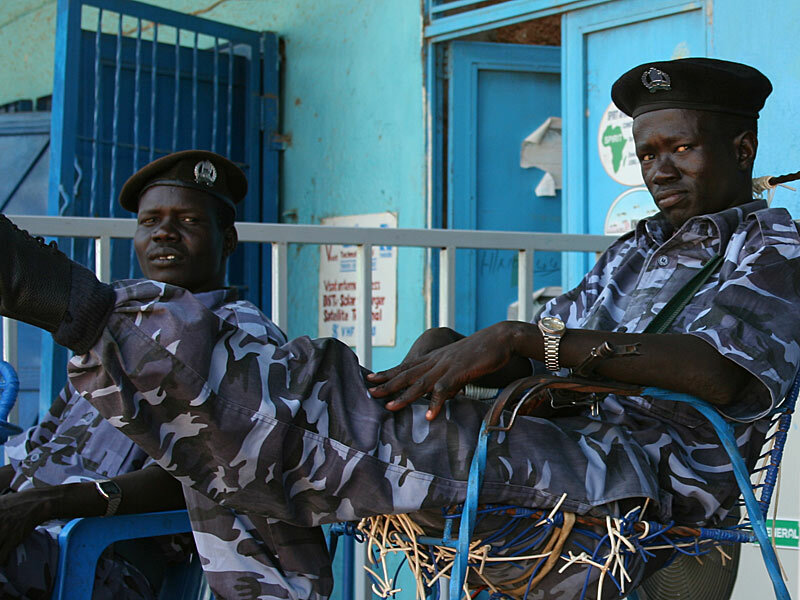 Mediators’ influence on the content of a peace agreement may be limited, but there are still ways in which they can contribute to more effective security arrangements. The ‘peace and justice’ debate usually focuses on the justice provisions of peace agreements. This debate is often reduced to a discussion of amnesties. Amnesties that excuse acts of war (such as treason) encourage combatants to join Disarmament, Demobilisation and Reintegration programs. Other amnesties may be intended to help belligerent strongmen to hold onto power in the new order. There is an emerging international standard, backed by UN policy, that this second type of amnesty should explicitly exclude the most serious crimes (genocide, war crimes, crimes against humanity and gross human rights violations). Without question, justice provisions – including and going beyond amnesties such as these – are important in their own right and are often hotly debated. The ‘non-justice’ provisions of a deal, however, are rarely scrutinized from a ‘justice’ perspective. This is unfortunate as the institutional arrangements agreed in a peace deal, particularly in the security sector, may have a larger impact on justice and human rights than the explicitly justice-related provisions. If security arrangements lead to human rights violations, the broader peace deal is likely to unravel. Agreements with weak provisions regarding the effectiveness and governance of security institutions may incubate future conflict and human rights violations. To reach an agreement, the armed non -state actor may demand full integration into the regular army. Or the regular army may try to avoid any reform of ongoing malpractice. Both of these are common practice and can lead to considerable problems in the future. In the Democratic Republic of Congo (DRC) and Mali the cycle of integrating armed groups into the army only for them to rebel again later seems endless. A lack of centralized command and control, or even of common loyalties or of basic competence, poses a serious challenge to security sector reform in the long-term. In their absence, state security agents and members of non-state armed groups can become part of criminal networks operating within the security system, as is the case with drug trafficking in Afghanistan and illegal resource extraction in the DRC. Security arrangements that throw former belligerents together without scrutinizing the behavior of individuals or setting up processes to reform and improve the security system may fundamentally undermine efforts to turn a negotiated agreement into lasting peace. If security arrangements entrench impunity within the security and justice sectors, the chances of success for any justice initiative, national or international, judicial or non-judicial, are slim. In the DRC and Kenya, the power-sharing agreements negotiated in each situation had a much greater effect on human rights than the justice provisions. The deals enabled elites to entrench their power within the political and security institutions, fundamentally undermining justice efforts in the implementation phase. Peace and justice advocates alike should analyze the security arrangements in peace deals much more closely for their potential to smuggle future violence into the deal. Analysis is only the first step, and the easiest one at that. Some actors involved in peace processes, such as international organizations or states, can put pressure on the parties to shape certain provisions. Mediators, on the other hand, can help the parties reach an agreement, but have little influence on the content. They can, however, play an important role in highlighting clauses in a peace agreement that could lead to problems later on. They can warn the parties that the peace agreement will not be internationally recognized and supported if it does not satisfy minimal standards. Drawing attention to threats to peace that are hidden in the security arrangements is important, as those arrangements are often the most important aspect of the process for those who have been involved in abusive practices, as well as for those who have been affected by them. The second way mediators can contribute to more effective security arrangements is by making processes more inclusive. Even when peace processes are large and inclusive, the security arrangements are likely to be hammered out in a private, ‘technical’ committee, away from public scrutiny. Far from being technicalities, the security arrangements may well determine the ‘post-conflict’ political and social order. Mediators can seek to enlarge the process that addresses security issues, both at the negotiation table and away from it, with consultations and parallel formats. A more inclusive process means inclusivity in terms of both actors and issues. For example, one of the critical questions for security arrangements is: Who will join the new army and how will they behave? This should not be decided by the armed wing or security experts of the negotiating parties alone. It should also be shaped by their political leadership and as far as possible by a broader discussion of the role of the security system in the new order. This discussion should include representatives of civil society, women’s groups, and traditional leaders in addition to a range of political leaders. More inclusive processes may lead to more effective security arrangements. One way to help strengthen the security sector is to negotiate the introduction of mechanisms that would help to ‘screen out’ those suspected of the worst crimes. If these individuals cannot be prosecuted, it may at least be possible to retire them. A more inclusive process can make this type of arrangement more credible, ensuring that the inevitable sweetener that would come with retirement is accompanied by tight conditions that limit involvement in public life. More inclusive processes may also be more effective as a system-wide approach, rather than one that only targets a few individuals. Mediators have little control over who participates in a mediation process. Before talks even begin, regional and international actors have a key role to play, and may be able to use their influence to counter the principle that violating civilians tends to result in power at the negotiating table. They may also be able to put pressure on conflict parties to negotiate security arrangements that contribute effectively to longer-term peace and stability, avoid the recurrence of human rights violations and keep alive the possibility of justice for past abuses. Mediators can play a critical role in this – by helping to make peace processes more inclusive, by providing the parties with sharpened analysis of the possible implications of proposed security arrangements, and clarifying to the negotiators the possible pitfalls of faulty security arrangements. In this way, mediators may help parties avoid peace agreements where the security arrangements undermine the likelihood of peace and justice in the future. Dr. Laura Davis is a writer and consultant specializing in transitional justice during peace processes. She is the author of EU foreign policy, transitional justice and mediation: principle, policy, practice and numerous other publications.